Beautiful pool and terrace area. Well equipped apartments. Had an amazing kitchen.. all the facilities you can want, amazing air conditioning, beautiful interior design, amazing pool! Very lovely owners. We were upgraded to a lovely studio with a private pool, which was delightful. The group of rooms are beautiful and the owners are very accomodating. It's a very serene environment and the rooms are done up beautifully. It has all the facilities for cooking and they even leave bread and eggs for breakfast. I would recomend this place to anybody! We love the apartment, the village and the location. Great for relaxing!! suitable for couples. Very clean room and fully equipped. great pool and atmosphere. Andrea and the staff was very nice. Gute Lage in einem kleinen Dorf. Wir waren praktisch die einzigen Gäste und hatten die kleine Anlage für uns. Die Nähe zum Meer, knappe zehn Autominuten, die idealen Voraussetzungen zum Velofahren durch verkehrsarme Strassen und frühlingshafte Temperaturen haben uns ausgezeichnet gefallen. Das verschachtelte Steinhaus mit vielen Pflanzen ist idyllisch und sehr ruhig gelegen im hübschen Bergdorf mit sehr nettem Dorfladen und Taverne. Dennoch,schnell erreicht man die Schnellstraße. Bei Ankunft hängt ein personifizierter Briefumschlag mit einer Begrüßung und Hinweisen an der Zugangstür zur Anlage. Das Studio lag etwas zurückgesetzt in einem romantischen Innenhof ohne Aussicht, aber eben deshalb auch sehr ruhig, nicht direkt am Pool. Es ist sehr gemütlich und sauber. Täglich kommen die Besitzer vorbei und erkundigen sich, ob alles ok. sei. Der Pool ist etwas klein, aber hübsch und sehr sauber. Een accommodatie met karakter. Doorleefd, maar gezellig en knus. Die Unterkunft ist sehr gut, ruhig, aber nur mit Auto sinnvoll. Ausstattung okay, der Pool klein aber sauber, das Personal sehr freundlich und ansprechbar für vieles. Für Familien mit Kleinkindern eher ungeeignet. 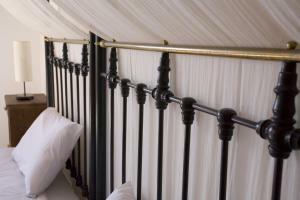 Lock in a great price for Eveleos Country House - rated 9 by recent guests. One of our bestsellers in Tochni! Eveleos is a fully restored, charming stone-built property in the village of Tochni, boasting terraced landscaping and lush gardens. The traditional entrance gate leads you up a few steps to the individually designed apartments, each providing cottage-style accommodation with a touch of luxury. 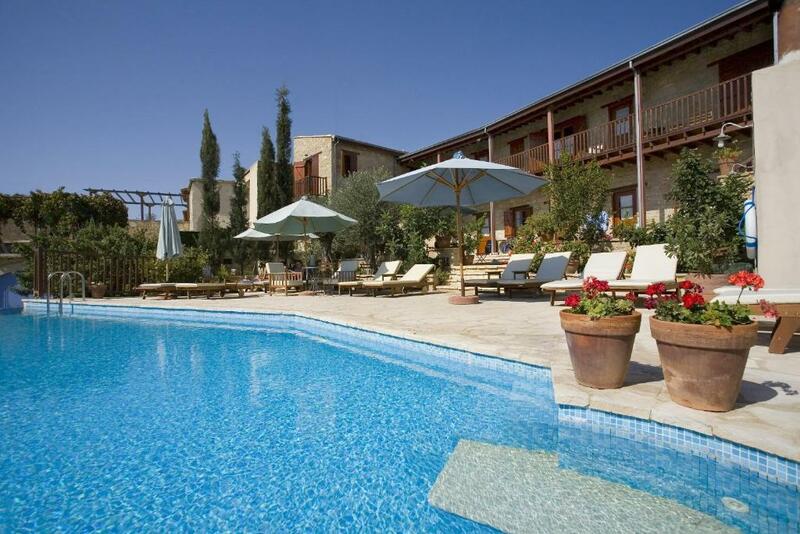 Eveleos surrounds a central courtyard with swimming pool and inviting benches. Rustic furnishing and contemporary amenities create a rare blend of country ambience and contemporary lifestyle. 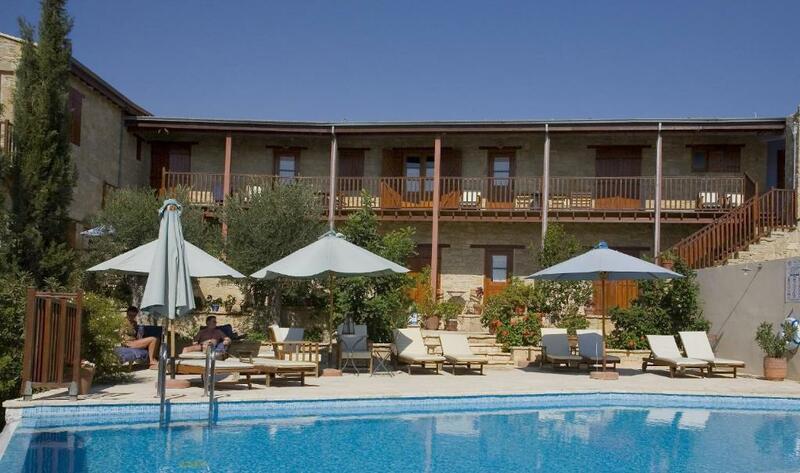 Eveleos country house will warmly welcome you in true Cypriot style. At the same time, tranquillity is assured and your privacy is protected. Each house is no more than 5 miles from the sea, with access to the coastal highways and the roads leading to the Troodos Mountains. This property is also rated for the best value in Tochni! Guests are getting more for their money when compared to other properties in this city. 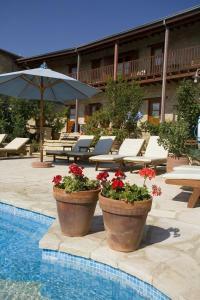 Eveleos Country House has been welcoming Booking.com guests since 1 Jul 2009. When would you like to stay at Eveleos Country House? Air-conditioned studio with kitchen, seating area and satellite TV. 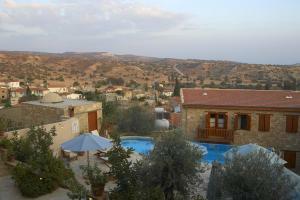 Air-conditioned apartment with separate bedroom, kitchen, seating area and satellite TV. 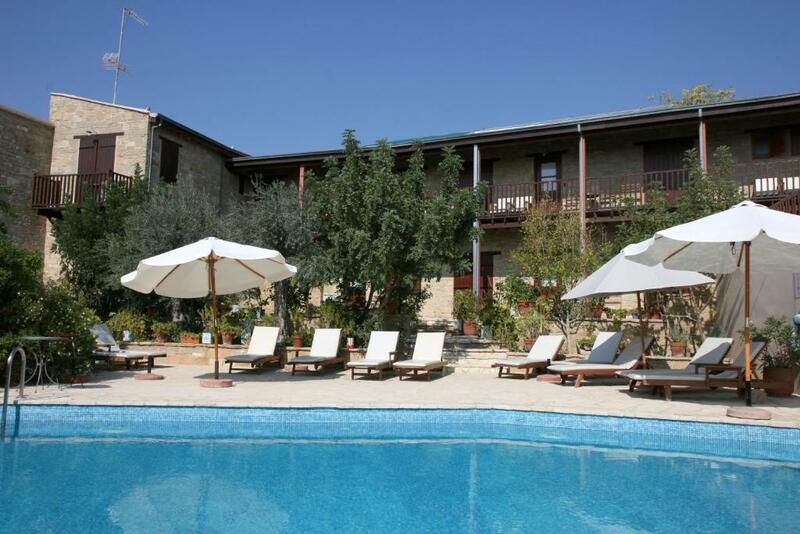 Air-conditioned apartment with 2 separate bedrooms, kitchen, seating area and satellite TV. House rules Eveleos Country House takes special requests - add in the next step! Eveleos Country House accepts these cards and reserves the right to temporarily hold an amount prior to arrival. The property was dirty and dark; I don’t expect to pay c.£80a night and for there to be cockroaches. Just be a bit careful if you have children as the infinity pool is quite high up. Perfect Place to relax, with a great yard-garden and a pool area ! this was our second visit, and we plan to return every year to this fantastic place ! If you want to travel - GET A RENTAL CAR! This isn't a problem with Eveleos Country House - but it's very difficult to get around in the area without a rental car. Without a rental car, you are pretty much limited to the place unless you really like hiking - Tochni is a very "quiet" place, all throughout the day. There's a bus 3 times a day, I think, passing in the morning hours. Taxis can be used but with the accumulated prices it's better off to rent a car. Also - Tochni has some very steep slopes which are not always so easy to climb - definitely nothing impossible, but take this into your consideration if you have any health problems or limitations. SUPER RELAXATION! Take relaxation to the max. I went to Eveleos Country House to relax - and I got the best tools to do that! This is a great place to relax, it's very quiet and serene and I highly recommend it. In fact - the place was recommended to me by a friend. The place itself is beautiful, reminiscent of Toscana, it's a pleasure just to look at the structures. Points: * I've seen the owners only once and they were very nice, assuring me I could contact them for any issue. * The studio room was spacey and air conditioned, with fresh towels and soap. There are also kitchen tools for those who like to cook. * There was bread as well as eggs and water waiting in the fridge when I arrived, with spreads. * The WI-FI worked great in the room and in the pool area. * The pool itself was very pleasing and for the most part was empty during the noon-afternoon hours - the poolside seats give you a great chance to catch some sun. * There's a local supermarket a short walk from the place, as well as a very nice restaurant near the church which is open only in the evenings. * The people living next door are super nice and welcoming - in general, almost all Cypriots I met were nice and warm.